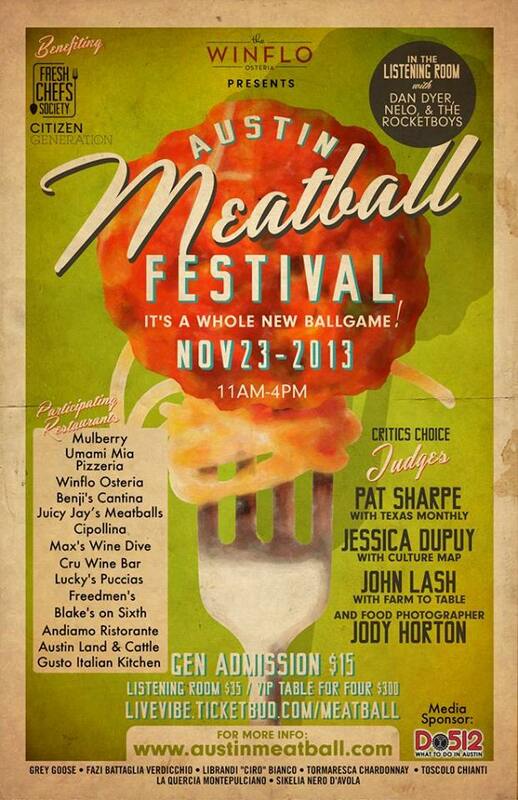 I am deejaying the 1st ever Austin Meatball Festival this Saturday at Winflo Osteria. Also on the bill are Dan Dyer, The Rocketboys and Nelo. I can’t wait to try all those meatballs. This is going to be a blast. I’ll kick things off at 11am. We’ll be in a heated tent so don’t worry about that cold front. Hope to see you. This entry was posted in Shows and tagged ATX, Austin, festival, Meatball, Mixer Rogers, Music, Show, Winflo. Bookmark the permalink.